The strategy is clear, now it needs to be operationalized for entering the country successfully with local partners with their respective networks. After kick-off we set up the country operations, build up prerequisites and approach the relevant partners for you. Depending on product, first sales can be generated within few months. 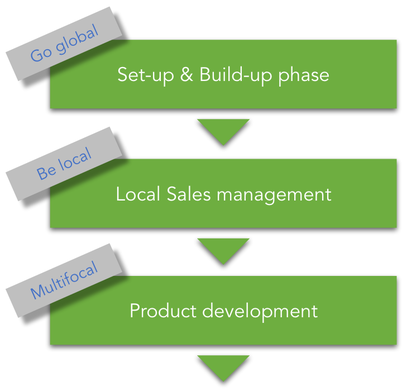 We install sales operations and processes and even propose adaptations of the product according to local specifications. Contact us now for your individual offer on our Sales operations services and Business Development.